As soon as I started submitting to literary journals, I realized failure would quickly become a part of my life. I didn’t know at the time or even until very recently, some four years after I first started actively submitting, that working through each of those failures (rejections, close calls, whatever we want to call them) in an environment of my peers would help my character in large ways. Dominic Randolph, the head of Riverdale Country School, says, “The idea of building grit and building self-control is that you get that through failure.” Randolph goes on to say that most children from affluent families don’t fail at anything, and thus may be terrified of failing and avoid ventures where they may run the risk of doing so. This was the case for me. I never failed at anything at school, and I also didn’t try out many things that I could fail at. 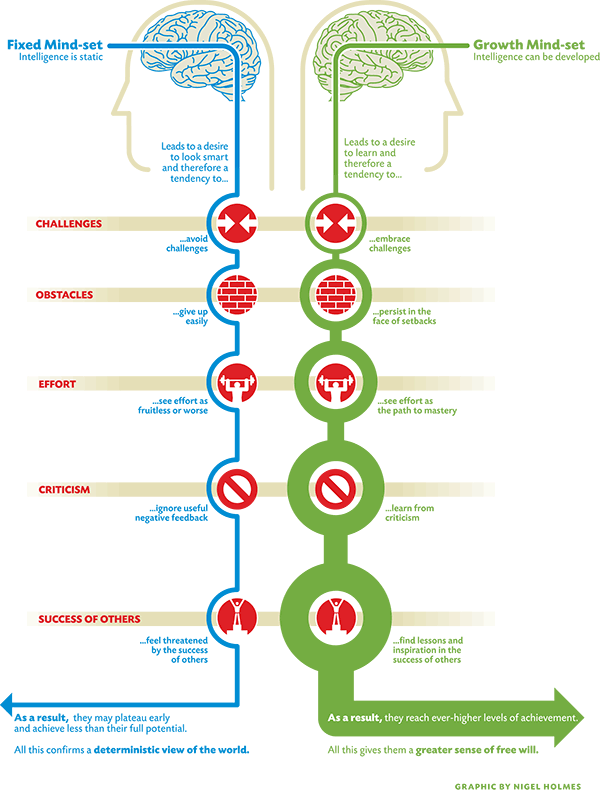 For some, this might be called having a fixed vs. a growth mindset. Posited by Carol Dweck in her book Mindset, if I have a “fixed” mindset, I only choose activities that reinforce my ideas of myself. I know I’m good at writing, so I put myself in situations where I look good at writing. I don’t put myself in situations where I might struggle, not look like the best, or have to work hard. I don’t try new things or persist in activities that don’t give me the immediate gratification of looking good. If I have a “growth” mindset, the opposite is true. I see my ability at writing as not fixed. I work hard to improve it, listen to feedback from others, read widely, take suggestions. I try new things and feel all right not being the “best” at them. For many years, I had a “fixed” mindset. I avoided anything that didn’t come immediately easy to me. I dropped sports, avoided people who I was jealous of, ignored helpful feedback (and sometimes even responded angrily). I once took guitar lessons after having no musical training ever, but stopped as soon as it got too hard. I had an idea, whether I wanted to state it or not, that my fate was determined. I was good at writing, and that was that. Then I enrolled in an MFA program. There, I wasn’t the best at writing; I was on the bottom tier for at least my first year. I went home crying from workshop several times because I found my peers’ feedback so unfair. I also was antagonistic of their comments, thinking to myself, “Well, they’re not doing that in their own poems, so how can they say that about mine!” Even though a small voice said inside of me, “What happens if they’re right?” I also started submitting,and (big surprise) The New Yorker didn’t accept my poems. The red carpet wasn’t laid out for me. I was going to have to work and change, or I’d never get any better. Today I keep trying, regardless of what the endeavor is. I’ve used that persistence and humility in submitting my individual work and my book and chapbook, applying for jobs, running and doing yoga, and teaching. I also try to silence those voices that say, “Oh, you’ll never be good at that.” If I’ve learned anything from this whole process, it is that I can change. More specifically, that I can change with the help of others.